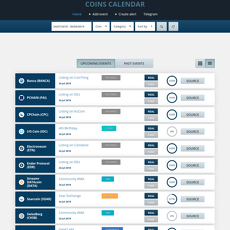 7+ Coin Calendar - Cryptolinks - The World's Best Cryptocurrency Sites List! These sites help provide up to date information about top world upcoming events as well as well-detailed information about the events with the date and location which you can get access to before hand so as to be able to plan in case you might have to travel, maybe book an hotel, tickets for the talk or seminar. 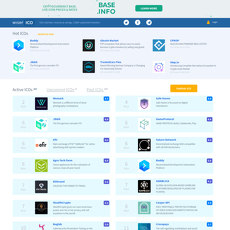 Some of these sites help make these information available are on every aspect of Cryptocurrency. If you are person who is busy and might not be able to attend updates on the briefings of the workshop or seminar can be read on some of these sites in form of articles or the categories of past events. You also have opportunity to search for events on your area of interest with their well-organized search engine. 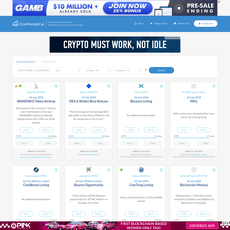 Some of these sites apart from provided well detailed information on upcoming and past events in the world of Cryptocurrency, you can also get access to news such as Daily Ripple/XRP Discussion Thread with Questions and Price Predictions, About listing XMR, Komodo (KMD) only coin in Top 50 in a Green, get 25.000 CMD from CoinMD airdrop ERC20 token, Opera Has Built-in Ethereum Support, Major Browsers to Integrate Web 3.0, HackerOne summary of August through September, 2018 etc. 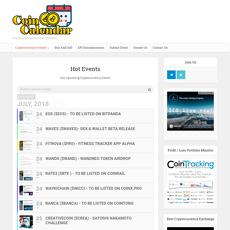 and articles on Cryptocurrency depending on your area of interest be it trading or investing in bitcoin, Litecoin, altcoin, Qtum and so on. The news and articles might be found in their blog section in which you can have opportunity to learn a lot of things on your area of interest and may even get answers to some of the areas giving you problem. If you also want to know the market cap or Bitcoin price you can also find it some of these sites such as wiser ICOs etc, maybe check for cryptocurrency capitalization, coin graphs and actual stock markets for crypto trading. These sites do not leave you on your own but help provide the means by which you can get notifications and alert directly just be subscribing to the site or community leaving your email address. These sites help send notifications or alerts to inform you about upcoming events peradventure you had forgotten. Some of these sites help provide cheap and easy access to useful information in which you can get access to maximum amount of information at your convenience without any stress. Most of these sites help provide information about events coming up for free and easy reachable. Some of these sites help provide access to additional benefits such as means to get notifications and alerts about these events by subscription to their community. Some of them also provide access to social media directly such as Twitter, email, Google, Facebook etc. 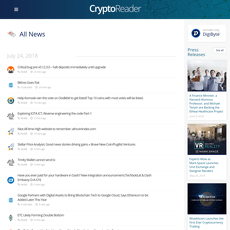 Some of these sites help provide viewers with opportunity to add to their press release on anything Cryptocurrency. 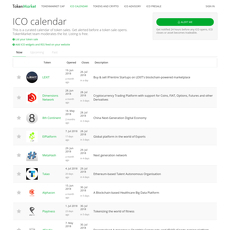 You also get the chance to add or submit events that you think crypto lovers would want to attend. 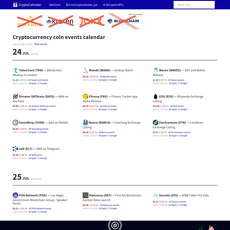 With all the above features, it is important to know that these sites can help you plan a year full of Cryptocurrency experiences across the globe.